When we imagine the very wealthy, we often think of Wall Street executives and star professional athletes. But the truth is that the most common path to becoming rich is to own your own business. Business owners certainly dominate the ranks of the highest tax brackets – Merrill Lynch has estimated that nearly 80 percent of those with at least $5 million of investable assets are former entrepreneurs who have successfully exited their businesses. And around half of all Americans with net assets over $1 million grew their wealth by growing a business. Even if you don’t personally own a business yourself, you likely know someone who does. Selling one’s business is a major, often life-changing event. It often represents the opportunity to realize the potential of the wealth you’ve been building. It can also be very emotionally taxing. It’s not easy to walk away from something that you have poured countless hours and considerable sweat equity into. You may think of your business with the same type of pride as a parent. Naturally, you may want to be as hands-on as possible in making sure the selling of the business goes as smoothly as possible. Unfortunately, this is precisely where too many business owners run into major trouble. They have built a great business and grown it to great heights – so why can’t they be just as skilled as selling the business? The fact of the matter is that building a successful business is an entirely different skill set altogether from selling one. Just as you likely rely on professionals for your wealth management and accounting, you should absolutely work with a professional to help facilitate the selling of your business. It’s important to work with someone who brings market awareness to the transaction, unencumbered by poor emotional judgments driven by personal attachment to the business. Think of it this way – you will likely only sell one business in your life: your own. A seasoned investment banker, on the other hand, will bring the knowledge and perspective of professionally specializing in this very type of transaction. As a professional that values experience and specialization, you have much to gain from working with a pro. You’re preparing to transition to a new phase of your life, whether it’s retirement or your next business challenge. Why not make the transition as smooth as possible by working with a professional to ensure that the sale of your business is as successful as possible? 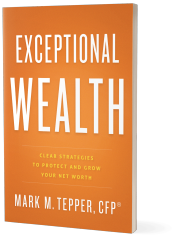 Mark Tepper is President and CEO of Strategic Wealth Partners. While he works with a variety of clients, Mark specializes in the wealth management and financial planning needs of entrepreneurs. 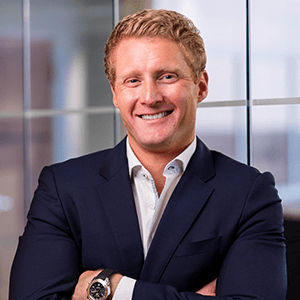 Since entering the financial services arena in 2000, Mark has gone on to become a Million Dollar Round Table Top of the Table qualifier, placing him in the top 0.1% of financial advisors in the country. A well-known financial commentator, he appears regularly on CNBC’s Street Signs and Closing Bell, as well as FOX Business. 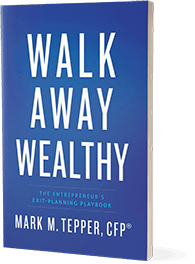 Additionally, he is the author of Walk Away Wealthy - The Entrepreneur's Exit-Planning Playbook, and Exceptional Wealth. Beyond that, he has been featured in numerous publications, including The Wall Street Journal, Kiplinger’s, and CNN Money. Stay up to date on all the latest blogs. All we need is your email.